Maple Syrup Urine Disease (MSUD) is a metabolic disorder caused by a severe deficiency of the branched-chain α-keto acid dehydrogenase complex activity which leads to the accumulation of branched-chain amino acids (BCAA) leucine (Leu), isoleucine and valine and their respective α-keto-acids in body fluids. 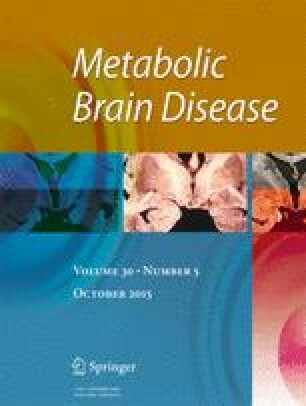 The main symptomatology presented by MSUD patients includes ketoacidosis, failure to thrive, poor feeding, apnea, ataxia, seizures, coma, psychomotor delay and mental retardation, but, the neurological pathophysiologic mechanisms are poorly understood. The treatment consists of a low protein diet and a semi-synthetic formula restricted in BCAA and supplemented with essential amino acids. It was verified that MSUD patients present L-carnitine (L-car) deficiency and this compound has demonstrated an antioxidant and anti-inflammatory role in metabolic diseases. Since there are no studies in the literature reporting the inflammatory profile of MSUD patients and the L-car role on the inflammatory response in this disorder, the present study evaluates the effect of L-car supplementation on plasma inflammatory cytokines interleukin-1β (IL-1β), interleukin-6 (IL-6), interferon-gamma (INF-ɣ), and a correlation with malondialdehyde (MDA), as a marker of oxidative damage, and with free L-car plasma levels in treated MSUD patients. Significant increases of IL-1β, IL-6, and INF-ɣ were observed before the treatment with L-car. Moreover, there is a negative correlation between all cytokines tested and L-car concentrations and a positive correlation among the MDA content and IL-1β and IL-6 values. Our data show that L-car supplementation can improve cellular defense against inflammation and oxidative stress in MSUD patients and may represent an additional therapeutic approach to the patients affected by this disease. Very special thanks are dedicated to the physicians at the Medical Genetic Service of Hospital de Clinicas de Porto Alegre, families and patients who participated in this study. This work was supported in part by grants from FAPERGS, CNPq and FIPE/HCPA-Brazil.